Explore the 2017 Harvard Sustainability Report detailing our transformation to a healthier, fossil fuel-free community. Transparency is a key ingredient for accountability and continual improvement, helping us to uncover new insights and make smarter decisions. 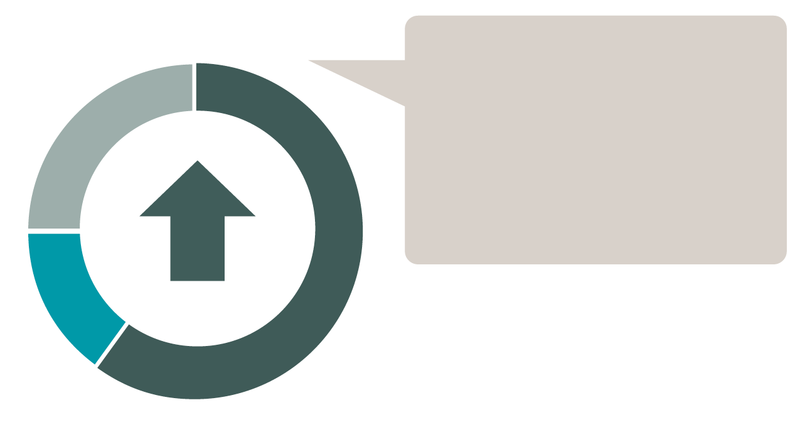 A new online dashboard featuring interactive graphs will allow our community to track progress toward meeting the University's sustainability goals and commitments. Our complementary Data Hub webpage aggregates data sets that are available to our community to use for research and benchmarking. Enhancing the well-being of people and the planet. Harvard's Climate Action Plan sets an ambitious path forward to shift campus operations away from fossil fuels. The plan includes two bold, new, science-based targets—fossil fuel-free by 2050 and fossil fuel-neutral by 2026. 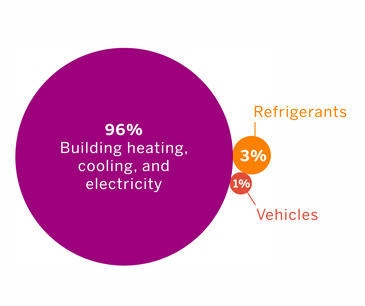 96% of Harvard's emissions are from building electricity use, heating, and cooling. Vehicle fleet and refrigerant losses account for the remaining 4%. 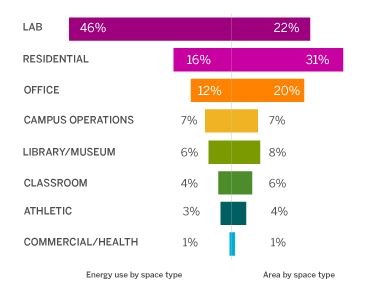 Residential spaces account for nearly 31% of campus square footage and 16% of total energy use, while labs account for 22% of total building area but consume nearly 46% of energy use. In 2017, Harvard maintained a 30% reduction in net greenhouse gas emissions from a 2006 baseline, supplementing its expansive on-campus emissions reductions with a limited amount of off-site emissions reduction projects. This amounts to a reduction of more than 85,000 metric tons of carbon dioxide equivalent which is equivalent to the emissions released by 18,253 cars annually. 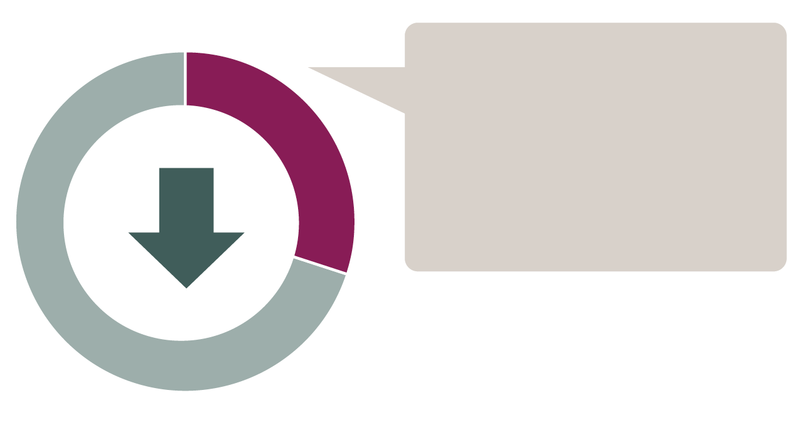 Harvard's emissions inventory is third-party verified through the Climate Registry and is undergoing review to receive Climate Registered status for 2017. More than 1.5 MW of on-site solar PV, combined with solar thermal, biomass, and geothermal installations play an important role in diversifying Harvard's energy supply and serving as a test ground to inform future action. The highly efficient energy system that will power Harvard's Allston campus prioritizes climate resiliency and includes the largest thermal storage tank in Massachusetts. 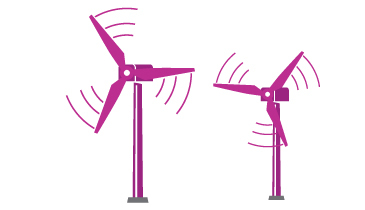 It has been designed to be as flexible as possible so emerging technologies can be incorporated over time as the University works towards its ambitious climate action goals. 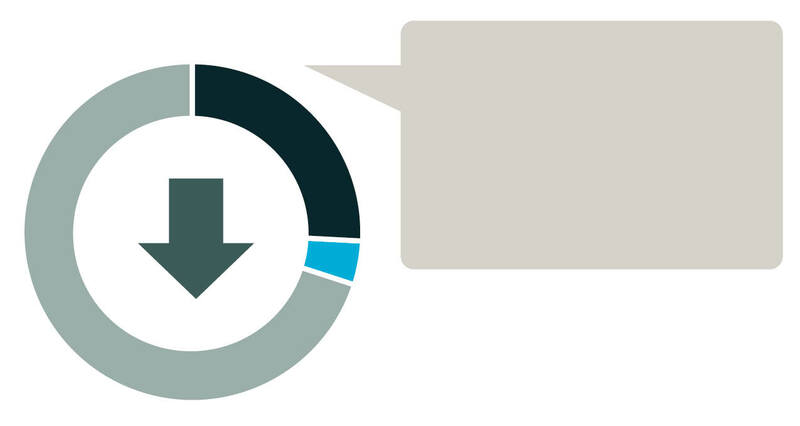 Net energy use is down 4% from our 2006 baseline (excluding growth, energy use dropped 18%). Reductions in building energy use from energy efficiency measures offset the impact of growth in square footage. Harvard has implemented more than 1,000 net present value positive energy conservation projects in our buildings, including many with long payback periods. 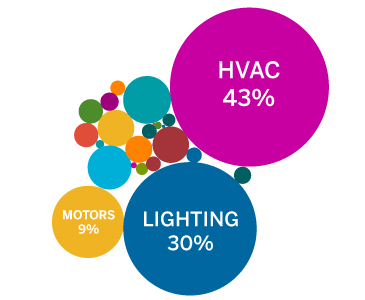 The most common, shown by share of total upfront implementation costs, are HVAC (heating and cooling) and lighting upgrades. A ground-breaking report conducted by Harvard and the Boston Green Ribbon Commission with the Rocky Mountain Institute’s WattTime and Meister Consultants Group details methods for quantifying the actual emissions impacts of institutional renewable energy purchases, which could create new opportunities for renewable energy buyers to begin reducing emissions even faster, more cheaply, more reliably, and more credibly. Harvard, as Chair of the Boston Green Ribbon Commission's Higher Education Working Group and Vice-Chair of the Cambridge Compact, presented the keynote at the International Institute of Sustainable Labs conference and led a national Lab Energy Use Benchmarking Study. 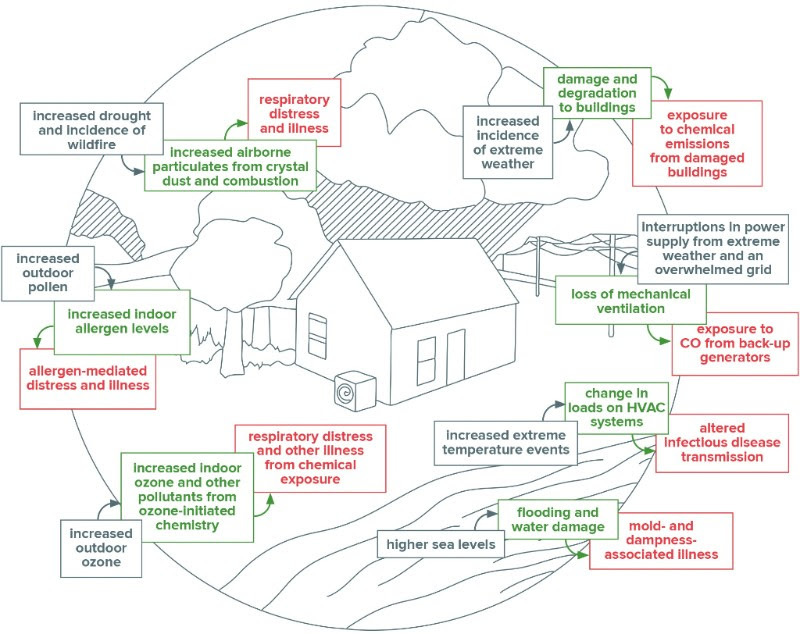 Researchers across Harvard are focused on preparing the world for a future where climate is the number-one threat to public health. 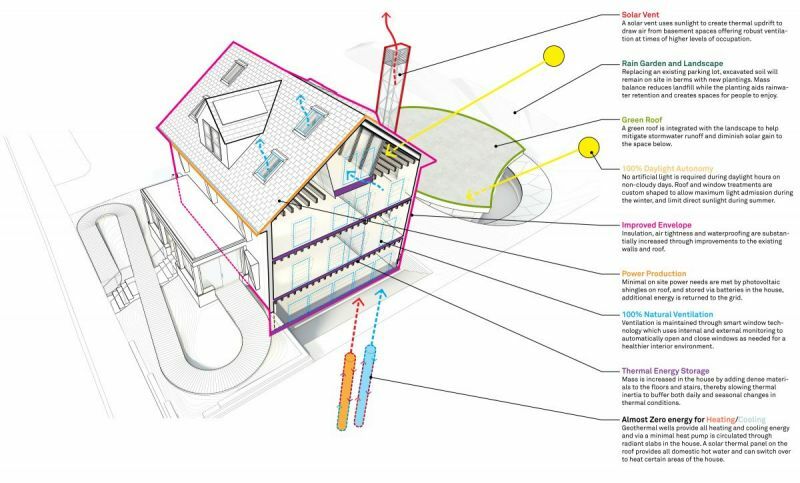 Harvard Graduate School of Design's HouseZero project aims to renovate a pre-1940s house into a first-of-its-kind test case to demonstrate unprecedented levels of building efficiency by producing more energy than it consumes. 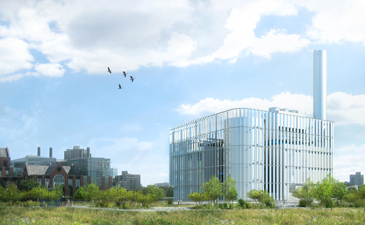 The project, which will become the headquarters of the Center for Green Buildings and Cities, aims to prove that ultra-efficient retrofits can, indeed, be achieved and replicated. Can a campus be regenerative? We think so. We pilot and then institutionalize best practices in sustainable operations that conserve resources, reduce pollution, and enhance personal well-being. 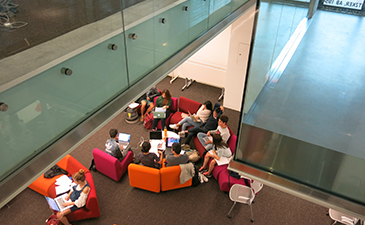 Harvard has more LEED certified buildings (129) than any other higher education institution. “The fact that the institution pursues and embraces LEED demonstrates their commitment to sustainability in all of their endeavors," said Rick Fredrizzi, CEO and founder of USGBC. Two renovation projects by the Faculty of Arts and Sciences, Extavour Laboratory and the Science Center - Cabot Library Project, marked the next phase in Harvard’s commitment to green buildings with their achievement of the first and second LEED v4 Commercial Interiors certifications in Massachusetts and on campus. SUSTAINABLE IT STANDARDS, developed by the Green IT Working Group, were approved by the CIO council in 2017. Harvard continues to deepen its commitment to sustainably and securely disposing of and recycling its electronic waste by holding FixIt Clinics and engaging with our electronics recycling vendors. 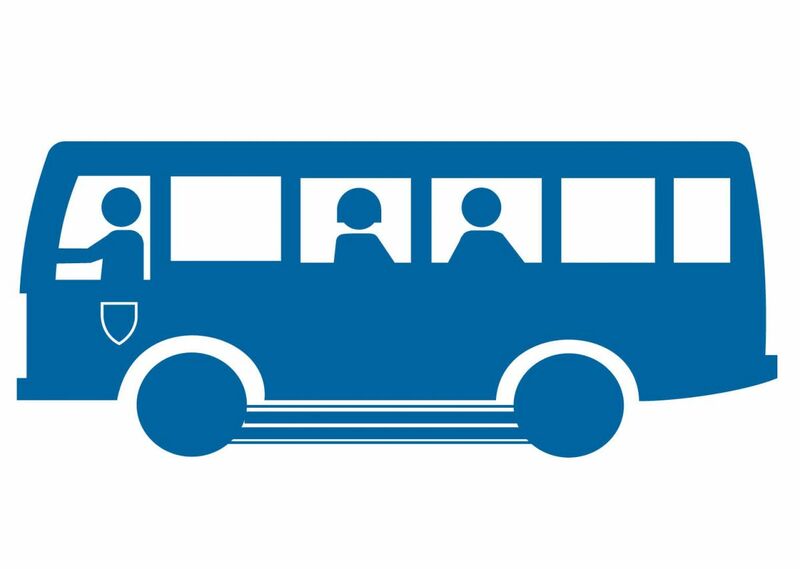 86% of Cambridge/Allston commuters, and 82% of Longwood commuters use SUSTAINABLE TRANSPORTATION options to get to work. Harvard employees have access to a bicycle commuter benefit or subsidy for transit passes, and the University provides all affiliates with discounted Hubway bike share or Zipcar car sharing memberships. Harvard also supports 12 Hubway stations. Of the 327 vehicles in Harvard's fleet, 95 are fueled with biofuel, 17 are hybrids, and two are 100% electric vehicles. Two five-year-old transit shuttles were retrofitted to include a unique hybrid drive that upgraded the miles per gallon from 6.5mpg to 8.1mpg. 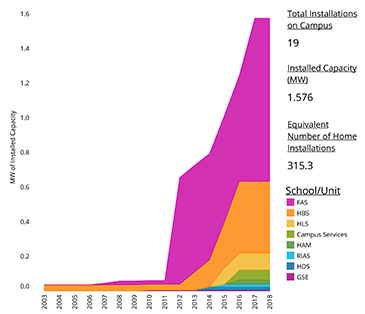 CLIMATE RESILIENCY PLANNING has been integrated into major capital projects on campus, mostly notably in Allston, House Renewal, and the Kennedy School transformation. 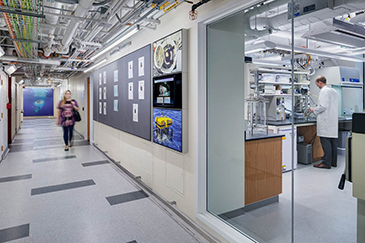 For example, in response to a vulnerability assessment, Allston's district energy system was relocated from the basement of the Science & Engineering Complex to an above-grade location. Since 2006, trash per capita was reduced by 44%. HUDS, HBS and HLS donate surplus food to families in need via the local non-profit Food for Free. The Office for Sustainability is collaborating with researchers to develop Green Cleaning Standards, which are expected to be released in the coming year and will apply to internal and external cleaning service providers. Together with Harvard Strategic Procurement, the Office for Sustainability developed a set of sustainability-related questions, which have a focus on commitments to climate and health, to be added to requests for proposals. WATER USE is down 26% from FY06, or 180,000,000 gallons—enough to fill BLODGETT POOL (capacity=750,000 gallons) 240 TIMES. Harvard became the first university on the east coast, and the second in the country, to install side guards on all of its large trucks in an effort to improve pedestrian and cyclist safety. The truck-safety initiative applies not only to vehicles owned by the University, but extends to trucks operated by major vendors as well. 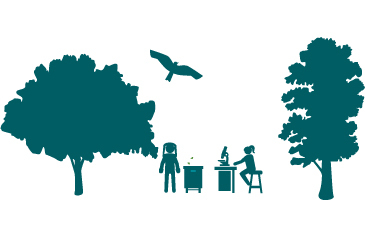 Harvard is committed to protecting and enhancing the ecosystems and green spaces our University owns, manages, or impacts, in order to enhance regional biodiversity and personal well-being. 13 vegetated green roofs across campus—on HBS, HKS, HLS, and Harvard University Housing properties—help to promote biodiversity, prevent stormwater runoff, and reduce building energy consumption. Harvard is partnering with the City of Boston to revamp and renovate the William F. Smith Field in Allston. 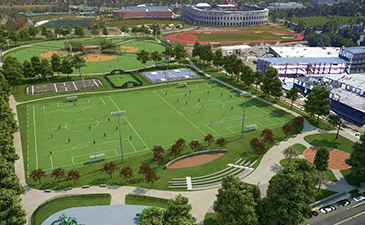 The project will add a new entrance on the park’s Western Avenue side, along with an amphitheater, splash pond, street hockey court, and new lighting, benches, walking paths, and other amenities. Hemlock Hospice, a year-long exhibit in the Harvard Forest, blends science, art, and design to examine the dying eastern hemlock and its role as a foundational forest species. 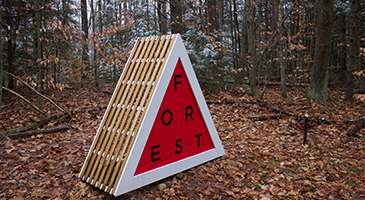 Artist-in-residence David Buckley Borden is collaborating with Harvard scientists to engage students and visitors alike in conversations about climate change and our forests. A new report from the Harvard Forest calls for tripling conservation efforts across the region, with the aim of setting aside 30 million acres of forest covering 70 percent of New England, as well as all of its remaining farmland. The report found that reforestation of New England's forests has peaked and the region is losing 65 acres of forest to development each day. 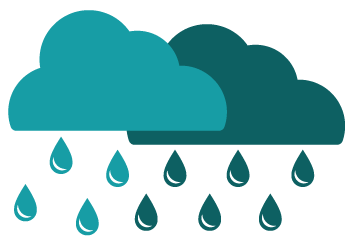 A 66,000 gallon rainwater collection tank installed during the Harvard Kennedy School's campus transformation will reduce irrigation water usage by half, also reducing stormwater overflow during severe weather events. Many other new capital projects, including House Renewal and the Harvard Art Museums, have included these large rainwater collection tanks. The Climate Solutions Living Lab is a three-year, multi-disciplinary course launched in 2017 that immerses teams of graduate students in semester-long, hands-on research to design feasible, practical, scalable projects that help orgainzations achieve zero fossil fuel use. 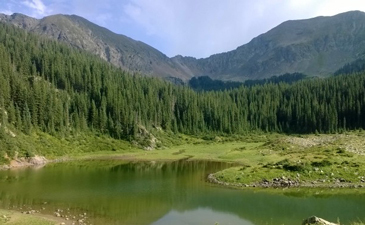 One of the student project teams visited Alaska and developed a plan to reduce emissions, improve economic stability, and preserve 150,000 acres of forest owned by a native village. The vitality of our University depends on the health of our people. We're working to enhance the health, productivity, and quality of life of our students, faculty, and staff through the design and maintenance of the built environment and the creation of cutting-edge well-being programs. The Healthier Building Materials Academy is partnering with public health faculty to address chemicals of concern in the built environment. The Academy has worked with 25 major capital projects across campus, collaborated with 100+ manufacturers to get them to remove harmful chemicals from their products, and institutionalized healthier building materials requirements into Harvard’s Green Building Standards. The Office for Sustainability partners with the Harvard T.H. Chan School of Public Health's Healthy Buildings program, under the leadership of Professor Joe Allen, to explore health in the built environment. The partnership includes innovative living lab projects which use campus buildings as part of on-going research analyzing how indoor spaces can enhance health and boost productivity. 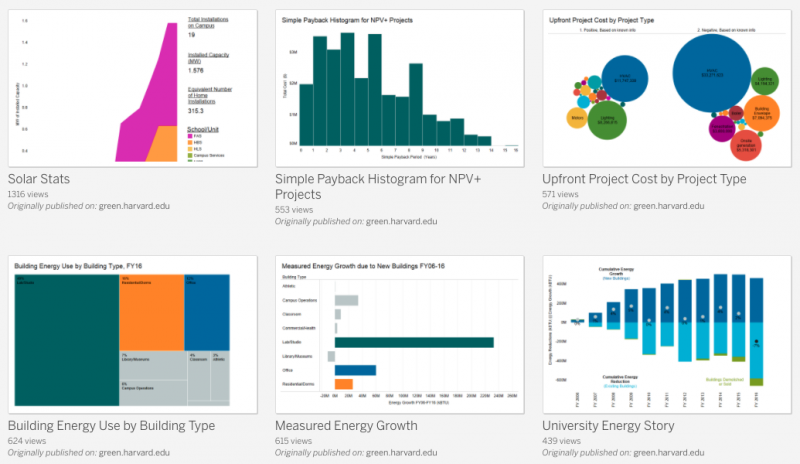 Harvard, with the non-profit group Healthy Buildings Network and Google, is as a founding partner of Portico, a new tool to help simplify the analysis, selection, and specification of building products that meet health and transparency objectives. 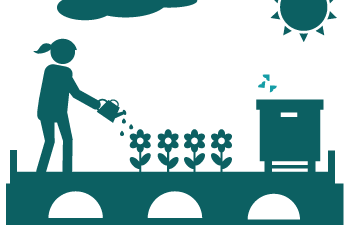 The Office for Sustainability is collaborating with faculty and students to finalize SUSTAINABLE AND HEALTHFUL FOOD STANDARDS informed by the latest research on climate and well-being. The Standards, which are expected to be released in the coming months, will have a large focus on nutrition, antibiotics, climate impact, well-being of workers, education, animal welfare, and food waste. 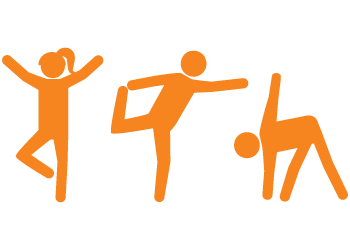 The Office for Sustainability teamed up with Health Services, the Office of Work/Life, Recreation and Athletics, Common Spaces, and CommuterChoice to begin tracking participation and access to programs focused on enhancing well-being. 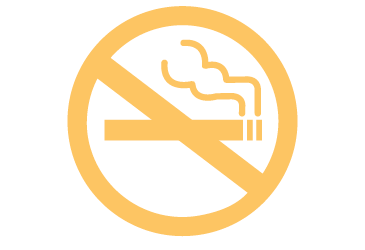 Eight Schools—plus Harvard Yard, North Yard, and the entire Harvard University Housing portfolio—are smoke- or tobacco-free. Harvard's Climate Change Solutions Fund is supporting promising, young researchers like Jisung Park who are generating a better understanding of the complexity of the climate challenge society faces. We are using our campus as a living lab to develop the next generation of sustainability solutions. We're working to strengthen a "One Harvard" culture across our Schools and departments that embraces sustainability as an integral part of our academic work, our institutional practices, and our daily lives. A $700,000 Campus Sustainability Innovation Fund was established to encourage teams of students, faculty, and staff to test new technologies and strategies on campus to solve global sustainability challenges. To date, ten projects, spanning six Schools, are funded and underway, and more projects will be announced soon. Seven multidisciplinary projects, including one focused on sustainability in campus dining halls, received support in third round of grants from President Faust's $20 million Climate Change Solutions Fund. In total, 31 projects have received funding since 2014. 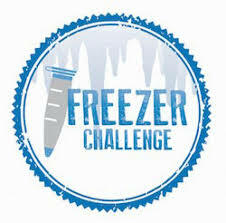 Harvard's Hoekstra Lab was recognized as the individual lab winner of the North American Laboratory Freezer Challenge for their efforts in reducing their lab's energy use by more efficiently managing their ultra low temperature freezers. Our Green Labs Program works across campus to encourage labs to reduce energy and conserve resources. Meet five undergraduate women who spent their summers researching climate change and sustainability solutions around the world thanks to funding from the Harvard University Center for the Environment, Planetary Health Alliance, Harvard Forest, and others. Currently, Harvard has 213 RECOGNIZED GREEN OFFICES with more than 4100 staff members engaged. Green Office certification is valid for two years. As Chair of the Boston Green Ribbon Commission Higher Education Working Group, Harvard led the development of reports on lab energy use benchmarking and renewable energy impacts and claims guidance. 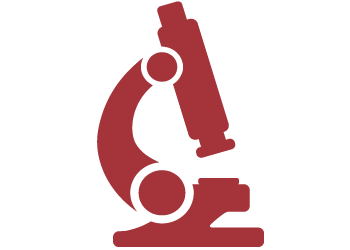 Harvard is the Vice-Chair of the Executive Committee for the Cambridge Compact for a Sustainable Future and leads the Lab Working Group, which is determining best practices on energy management for labs. Explore their annual report. For the first time, all 900 first-year students at Harvard Business School were tasked with examining how climate change will impact business. Each student was asked to choose one company or organization likely to be affected, and consider the steps already being taken or that should be taken in the face of this threat. Students in the inaugural year of the Master in Design Engineering Program, launched jointly by the John A. Paulson School of Engineering and Applied Sciences and the Graduate School of Design, tackled complex, multi-scale challenges like sustainable seafood and regional food mapping. "We have the chance to build possibilities and realities for those who will follow us. Our efforts will enable what they can imagine and what they can do. Nowhere is this clearer to me than in your efforts to address climate change and sustainability." The 2017 Harvard Sustainability Report was produced by the Harvard Office for Sustainability to update our community on the University's progress toward meeting the goals, standards, and commitments as described in the University's Sustainability Plan. Data is collected from individual Schools and departments, and aggregated and analyzed by OFS. 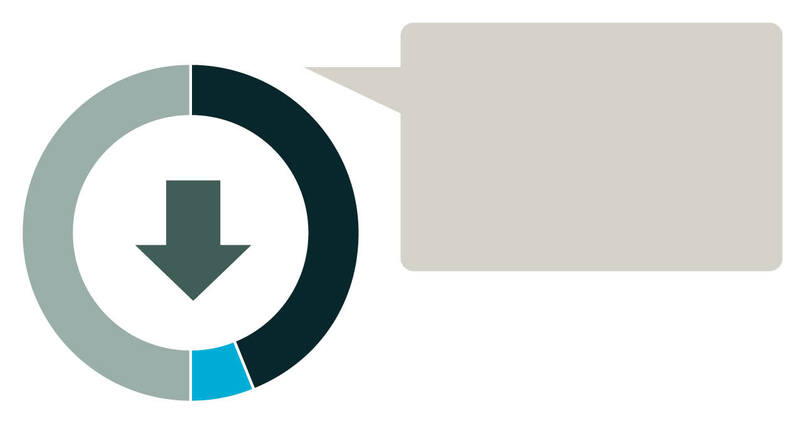 We publish our annual report online only, but PDF snapshots of current and historical data are avalable for download. The 2017 data shown here are draft preliminary numbers subject to change pending verification and/or finalization. This report is not intended to be an integrated sustainability report covering the full range of Harvard's socio-economic data as collecting such data across our decentralized organization would be cost and resource prohibitive. The Harvard Management Company reports on the University's endowment. Harvard Financial Administration posts the Annual Financial Report. The Chief Diversity Officer reports on institutional diversity and equity. The Harvard Fact Book presents a wide range of data regarding the University's organization, people, and resources. Since 2014 Harvard University has been teaming up with local non-profit, Food for Free on a food recovery and donation program. This past summer Harvard took it one step further, and launched the Family Meals initiative, where students package individual meals, which Food for Free is then able to donate to families in need.